The largest population of Belugas in the world is at Churchill, on Hudson's Bay, in northern Canada, with thousands of Belugas. Many of them enjoy music from boats. A proposed plan will deny them all access to music. They deserve the right to choose for themselves. The Province of Manitoba has drafted a plan and wants comments by March 7, 2016, to have the best boating rules and the best plan to protect these Belugas. Many Belugas in Churchill choose to enjoy music from boats. You can see this in Canadian reporting and videos. 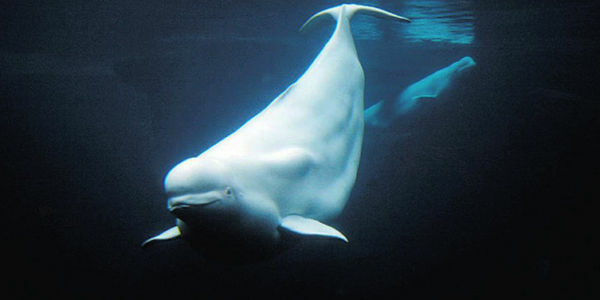 Belugas are intelligent and curious, and deserve to decide how much interaction to have. They also deserve areas where they can avoid boats entirely when they want to. 1. The plan needs to require cages around propellers, to protect Belugas from cuts. Some boats already use them, but the draft has no rules. 2. They need a speed limit near Belugas. The draft has no speed limit. Speed limits have saved lives of right whales in other places. 3. They need to plan a seasonal floating pier where people can see Belugas, without any noise or disturbance from boats. A map in the plan shows many Belugas swim close to shore, where a pier can be. 4. The draft plan asks boats to stay more than 100 meters away from Belugas. That rule forbids the musical interactions which some Belugas clearly enjoy. It gives Belugas no choice. Instead, Manitoba can use different buoys to mark (A) areas where boats may slow down and wait for Belugas to come close if they want to, (B) areas where boats may not go, so Belugas can choose privacy, and (C) areas where boats may go but need to avoid Belugas. Belugas will associate different buoys with different activities by boats, and Belugas can choose what they want. 2. Provide a seasonal floating pier where people can see Belugas, without any noise or disturbance from boats. The map on page 16 shows many Belugas swimming close to shore, where a pier can be. 3. Enforce a speed limit when Belugas are near. The draft has no speed limit. Speed limits have saved lives of right whales. 4. Use different buoys to mark (A) areas where boats may slow down and wait for Belugas to come close if they want to, (B), areas where boats may not go, so Belugas can choose privacy, and (C) areas where boats may go but need to avoid Belugas. Belugas will associate different buoys with different activities by boats. The draft asks boats always to stay more than 100 meters away from Belugas. That rule forbids the musical interactions which some Belugas clearly enjoy. I talked to people in Churchill who share our goal, so we may have success in changing the plan to let whales decide how much to interact with humans. Comments are due Monday March 7, and I sent the petition overnight last Wednesday with the signatures I had then. I will email it on Monday to include the latest signatures.